More than 100 Chippewa Valley residents will caravan to the state Capitol on Jan. 30 as part of the 25th annual Chippewa Valley Rally, a unique gathering that offers an opportunity to speak directly with elected officials and their staffs about issues critical to our part of the state. While the Rally is significant every year, it’s especially important in 2019 for two reasons, said Scott Rogers, governmental affairs and workforce director for the Eau Claire Area Chamber of Commerce. First, the state will prepare its budget for 2019-20 this year. Second, for the first time in a decade, there will be divided government in Wisconsin: Newly elected Democratic Gov. Tony Evers will have to contend with Republican majorities in both houses of the Legislature. 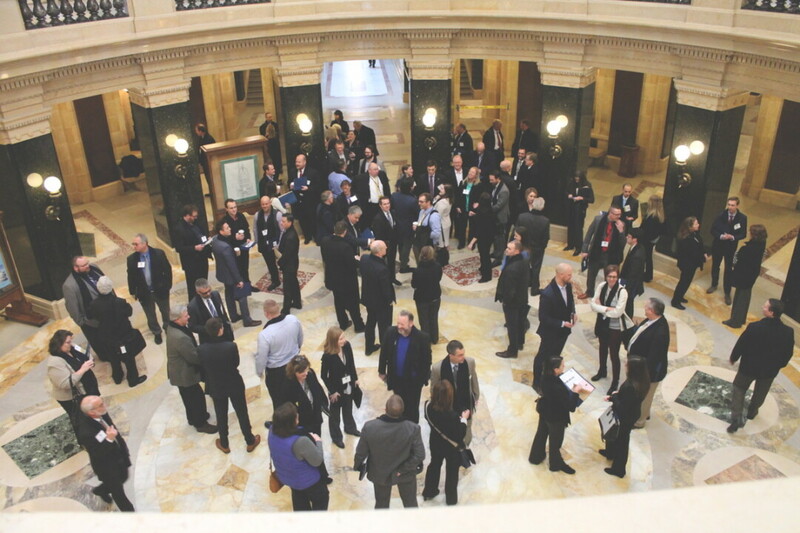 The Rally is organized by the chambers of commerce of Eau Claire, Chippewa Falls, and Menomonie, and participants include businesspeople, educators, local elected officials, and everyday citizens. Buses to Madison will depart by 6:15am. After a 10am briefing in the capital city, participants will breaking into three- to four-member teams to visit legislators’ offices. They’ll also attend a luncheon to which Evers has been invited. The main topics of discussion with elected officials will be addressing workforce challenges (such as finding qualified workers and retaining talent in the region), public investment in education (including funding a new UW-Eau Claire science building, and infrastructure (in particular, solving the riddle of long-term funding for transportation). Buses will leave Madison after 6pm for a late-evening return. If you’re interested in spending a long but rewarding day raising your voice for the Valley, contact Rogers at rogers@eauclairechamber.org or call (715) 834-1204.